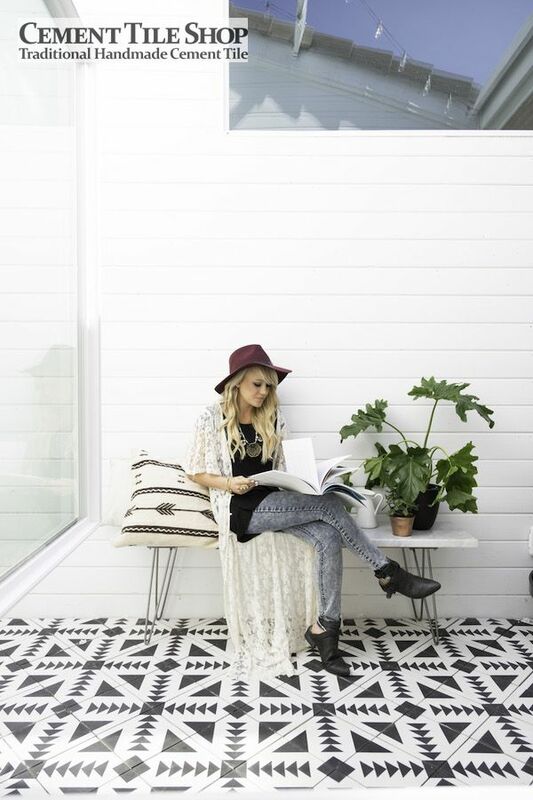 We just love the home of Amber Thrane, co-owner of Dulcet Creative – a company that focuses on styling, photography, branding and creative direction. 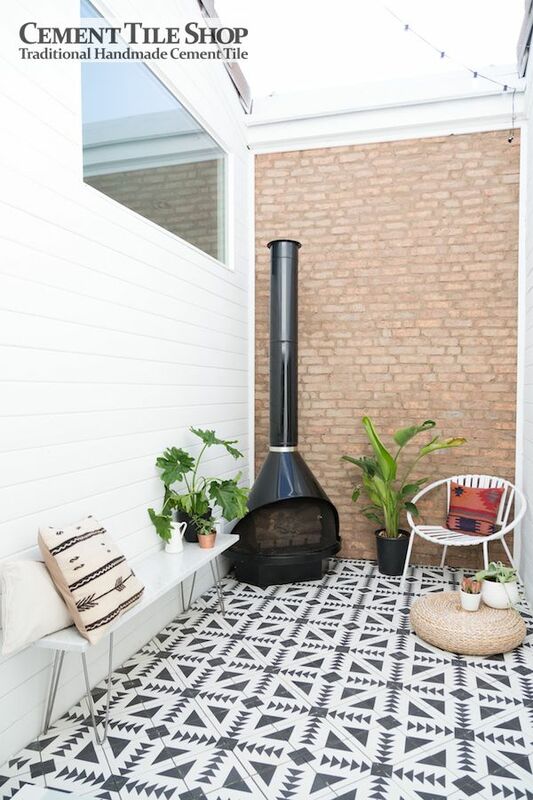 The eclectic California home, as featured on Glitter Guide, is full of charming features and inexpensive finds that are pulled together to create a cohesive, cozy home. Amber and her husband have done an amazing job by doing most renovations themselves and truly making their remodel a personal experience. If they can’t find what they love, they usually end up creating it! 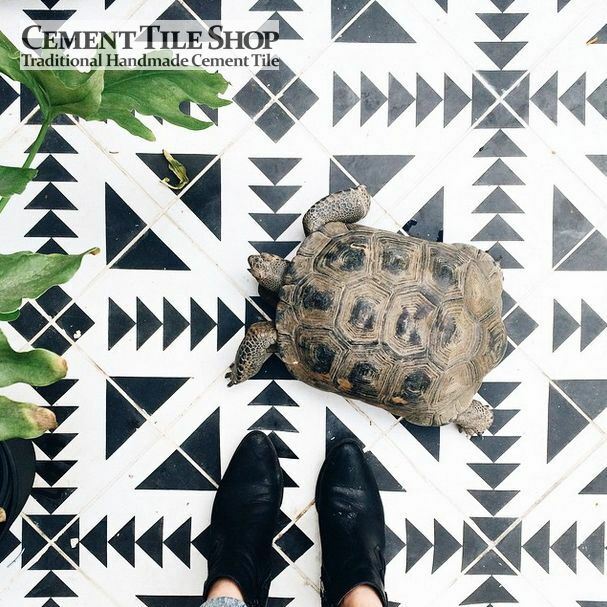 We love the use of our in stock Tulum cement tile pattern in the atrium. 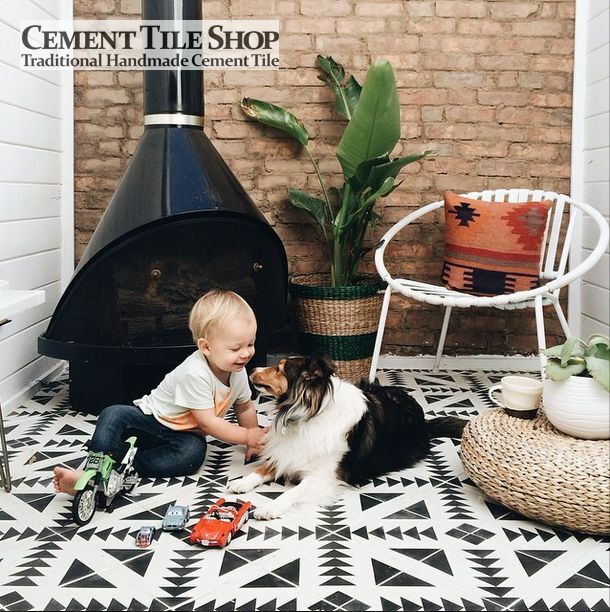 It is a bright, airy space and the striking black and white tile, an old fireplace, plus a few personal touches and some greenery make it an ideal place to hang out! The atrium is even a great hang out for kids…and a tortoise!